Wirrareka is the psytrance project of Matej Držík from Piešťany, Slovakia, founded in 2003. 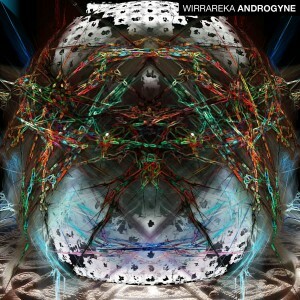 Androgyne is his first full-length album, freely released by Timeflux Records, featuring several collaborations alongside Chors. Wirrareka’s sound is a pleasing mixture of dark trippy bass lines, tribal rhythms, and harmonic leads designed to balance the inner cosmos. Inspired by the Tzolkin, Thelema, and spiritual alchemy, Wirrareka unites opposites and merges contrasting elements, producing an original sound that flourishes as the sun rises over the festival dance floor. Mastered by Ivo Sedláček with cover art by Matej Držik. MP3 Download | FLAC Download | WAV Download · Download count: 8,910. Released under a Creative Commons licence for noncommercial usage. Currently Wirrareka is DJing again with his wife Terezka, pleasing the crowd with trippy, full-on, but not cheesy morning sets, sharing the family vibe. For booking info please contact [email protected]. This is AMAZING!!! We need more harmonic psy-trance!! I’m sure these are good but just as last week I can’t unzip the mp3-package, and I have the same problem with the last four albums (BTW, those from last week have been fixed, those I can open now). I’ll post this comment on all four albums. this is pure genius pure genius cant wait to hear it pumping out of a mammoth stack tucked deep within a solom forest somewhere far far away!!!! If you’re on facebook and like my music, i’ve created Wirrareka’ fan page for posting news and releases. Slovenska produkcia ma konecne nejaky highlight!! Piestany town is a real cradle of psy-trance music in Slovakia and there is no surprise this ingenious release arose there. I watched how wir / wirrareka started on the ground floor and now, he is miles and miles high !! I think we can expect more of brilliant stuff in the future and guys … there also is Chors still somewhere hiding. Can´t wait for his first official album. Thank you Matej and Basilisk for this pearl. Really enjoy the upbeat nature of the harmonics mixed with the dark undertones of the beats throughout the songs. An interesting but wonderful mix. Love this release…. fajin zatinate chalani :) len tak dalej! nice listening music, but it doesn’t get me movin..